Few people have time to stay on top of all the latest gadgets and gizmos, so when it’s time to do your holiday shopping, even an inexpensive upgrade can take someone’s TV, music, office or fitness experience to the next level. Whether you’re looking for gifts for someone who loves to curl up on the couch with some good TV, spend an afternoon listening to music, get out for a jog or do a better job keeping up with their busy schedules, these inexpensive tech gifts will be as easy on your wallet as they are for recipients to fall in love with. Know someone who’s constantly hopping from computer to tablet to smartphone and back again? 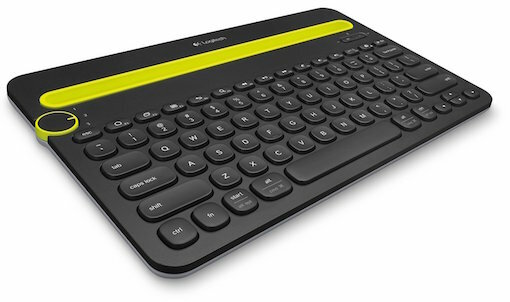 Help them get it together with the Logitech Bluetooth Multi-Device K480 Keyboard. You get simultaneous connections with up to three Bluetooth-enabled devices, letting you enjoy full-featured typing with easy switching between devices. The neon yellow cradle keeps more than one smartphone or tablet device easy to see while typing. The keyboard integrates shortcut keys for both Windows and Mac. At 7.68 inches tall by 11.77 inches wide by .79 inches deep and 1.81 pounds, it’s easy to carry wherever you need it. The Bluetooth range extends up to 30 feet, and battery life lasts up to two years. Earphones make a great gift, but too many on the market today are only about branding or style. The Shure SE112-GR Isolating Earphones have a light, simple design as well as excellent sound with strong bass. Insert and secure these in-ear headphones into your ears to provide effective sound isolation and block outside noises. They’re still comfortable thanks to a fit kit with sleeve options to fit your ears. 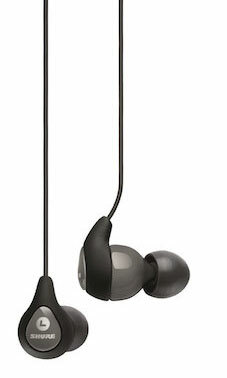 If these earphones seem familiar, perhaps it’s because they’re in the same product line as the Techlicious pick for the best in-ear headphones under $100, the Shure SE112m+-GR, which run just a bit more and include more features, such as a microphone. Here, we’ve focused on keeping your budget below $50 — and at $49, these earphones offer premium sound at much less than a premium price. Wireless streaming sticks are a budget-friendly, easy way to stream TV shows, movies, songs and games to your TV screen, and the 2015 version of the Google Chromecast stick is about as cheap and easy as it comes. Okay, so this latest version is no longer a stick — it’s now a small, disc-shaped wireless dongle (in lemonade yellow, coral, or discreet black) that attaches to the back of your TV or the cable itself. You’ll be up and running in minutes. Open up a supported app like Netflix, Hulu, Spotify, Pandora on your Android or Apple smartphone, tablet or laptop, and hit the Cast button. Presto! Your content shows up on the TV screen in 1080p HD resolution. Your phone, tablet or laptop acts as the remote. 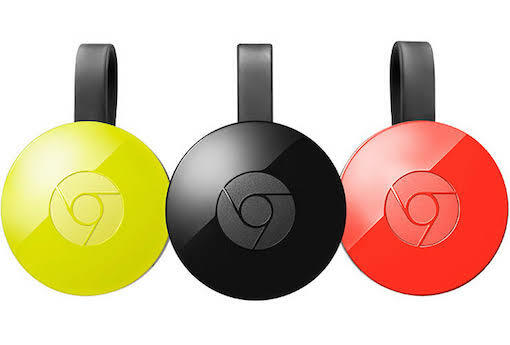 This latest version is 802.11ac-compatible and connects to 5GHz Wi-Fi networks, and it works with both old and new Chromecast devices. Unfortunately, Amazon videos can only be streamed from a PC. 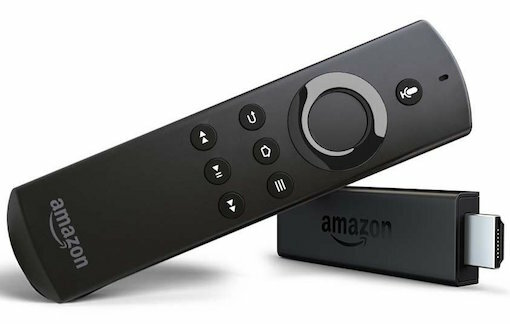 If it’s your Amazon fix you’re trying to bring to the tube, try the Amazon Fire TV Stick with Voice Remote. This little stick connects to your TV’s HDMI port to give you access to the massive collection of games, music and TV shows from Amazon Video, HBO Go, Netflix, Hulu and more. Amazon Prime members have unlimited access to Prime Video and Prime Music. The voice remote features lets you easily find your favorite shows. Spending the holidays at your family’s home and want to be sure they’re able to play music to keep spirits high? 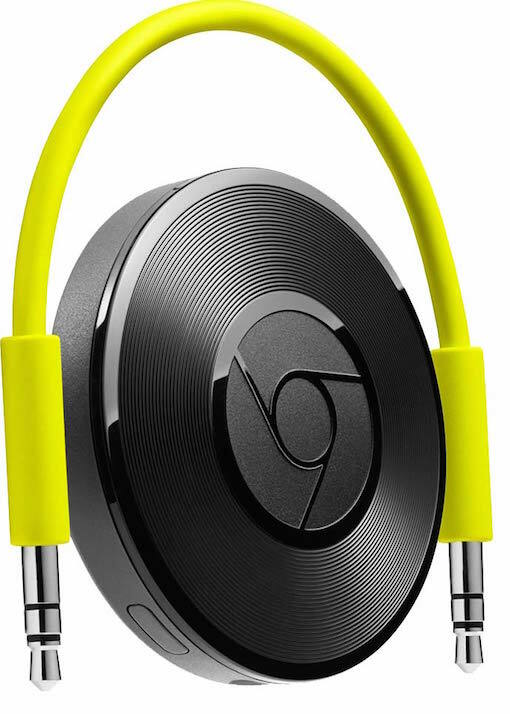 The Chromecast Audio speaker system is the gift to give. This little wireless music adapter resembles a thin hockey puck. It plugs into most existing speakers, stereos and AV receivers — basically any audio system with an AUX in port, even your cousin’s old boom box. Then it uses Wi-Fi and its own speaker to pipe through music, internet radio, podcasts and more from popular streaming services like Pandora, Spotify and iHeart Radio. You can DJ from your Bluetooth-compatible smartphone, tablet or laptop to control the content and volume. Setup takes just a few minutes through the Chromecast app for iOS or Android. It’s easy to carry and move, at 2 inches by 2 inches by .53 inches and a little more than half a pound. You’ll get an analog stereo patch cable, power cable and power adapter. Bring it along and get ready to rock your holiday party! 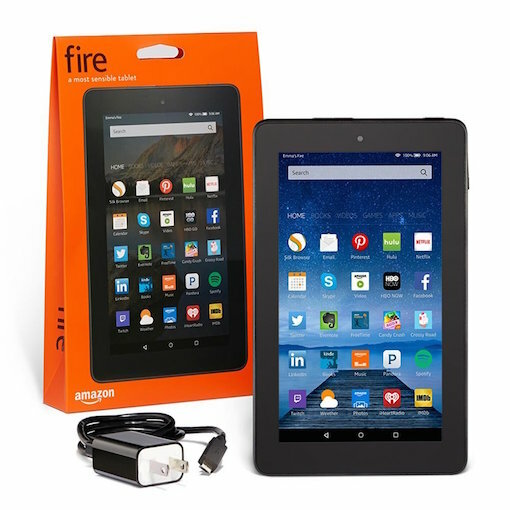 You’ll be considered a hot gift-giver if you give the Amazon Fire Tablet — at $50, a win for both giver and recipient. This tablet has a pretty 7-inch, 1024 x 600 screen and front- and rear-facing cameras. It runs the latest version of Fire OS on a 1.3 GHz processor and comes with 1GB of RAM, 8GB of storage and a microSD card slot to expand your storage. You also get free, unlimited cloud storage for all Amazon content and photos taken with Fire devices. A Fire lets you take advantage of Amazon’s massive media library — more than 38 million movies, TV shows, songs, books, magazines and games — as well as the Amazon Underground app, where you can find over $10,000 worth of apps, games and in-app items for free. There’s no denying this is excellent value for a small price. Even if you’re not trying to get someone to kiss you under the mistletoe, a new electric toothbrush makes a great gift to give yourself (or someone else) for the holidays. 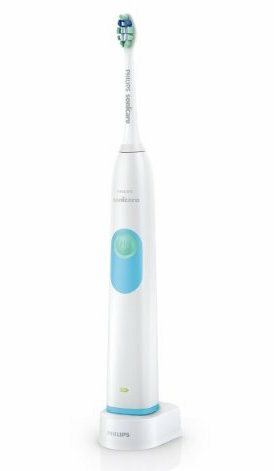 The Philips Sonicare 2 Series Plaque Control Rechargeable Toothbrush is safe for orthodontics, dental work, veneers and implants, making it a nice treat for anyone. Patented sonic technology create up to 31,000 brush strokes per minute, helping remove up to six times more plaque than a manual toothbrush. A smart timer lets you know when your dentist-recommended two minutes of brushing are up. The battery lasts about two weeks on a single charge, and the colored indicator lets you know when it’s time to recharge. A sturdy design and small footprint take up limited sink space. It’s maybe not a glamorous gift — but one that will keep you smiling. If you know someone who constantly misplaces their keys, wallet or even their phone, give the gift of “lost and found” this year. 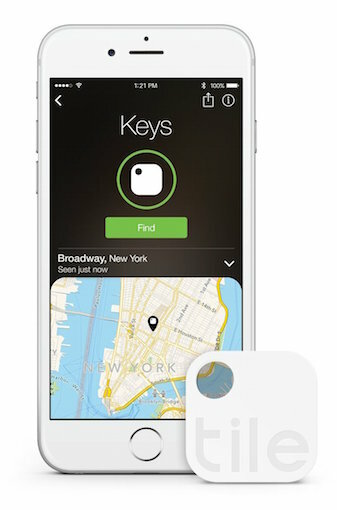 The Tile (Generation 2) is a tag-sized Bluetooth tracker designed to help you track down important but frequently misplaced items. Attach a Tile tag to anything you want to keep track of, and pair it with the Tile app and your phone or other mobile device (Bluetooth 4.0 devices running Android 4.4 or higher and iOS 7 or higher). Then if you can’t find your item, you can use your phone or mobile device to track it. The proximity feature lights up to tell you when you’re getting closer to the Tile. Tap a button to make the tracker play a loud tune when you’re in range of your item, about 100 feet. This second-generation Tile is water-resistant and can make your lost phone ring even if you’ve set it to silent/vibrate mode. You can connect up to eight Tiles to a single account. That’s one way to track down a great holiday gift. 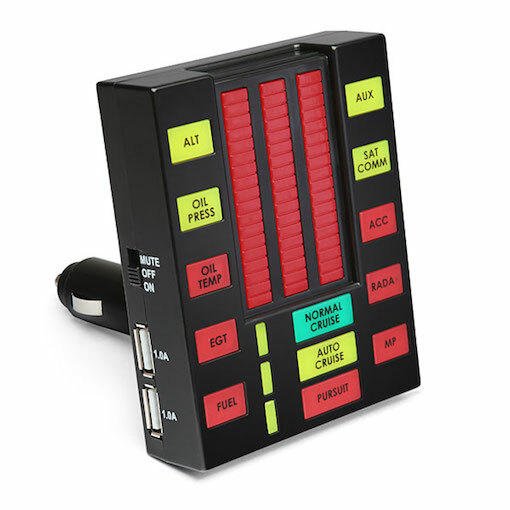 This officially licensed Knight Rider product fits into your car’s 12-volt power socket or cigarette lighter. Two USB charging ports (both 1 amp) allow you to charge almost any device. including smartphones, iPads, tablets and your GPS device. And if you need to tone down the ’80s atmosphere for any reason, there’s a switch to mute or turn off the KITT completely. With all those holiday treats and meals, it’s easy to put on a few extra pounds this time of year. So why not give a fitness activity tracker that helps motivate wearers keep moving and get a head start on a healthier New Year? More than just an activity tracker, the Garmin Vivofit Activity Tracker learns your activity level and assigns a personalized goal every day to help you stay motivated. 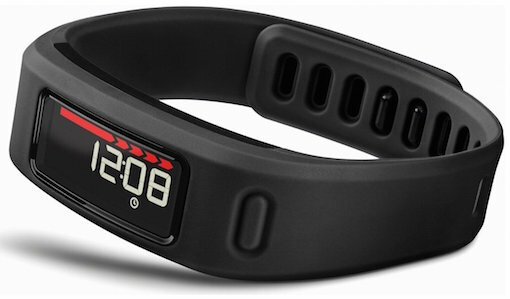 The clear wrist display shows steps taken, calories burned, distance you’ve gone, the time and date. If you’re inactive for an hour, a red “move” bar appears, adding more bar segments every 15 minutes until you get up and walk for a few minutes. At night, set the Vivofit to sleep mode to track your sleep. Sync your data with the Garmin Connect app to track your progress, save stats and share them. It’s water resistant and has a battery life of approximately one year. You can pair it the tracker with a heart rate monitor, an option some more expensive fitness trackers don’t offer — a heartfelt gift indeed. 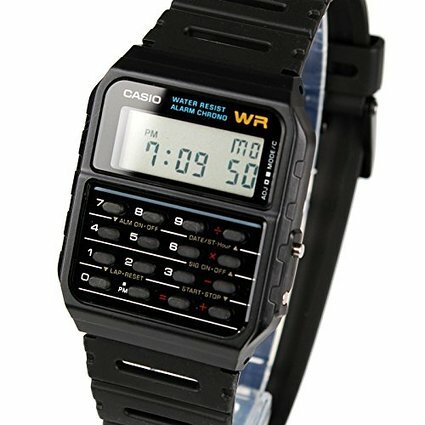 The ’80s are back in fashion — but regardless, the Casio Calculator Watch will never go out of style. This retro watch is an oldie but goodie for anyone who wants a to get back to basics with a watch designed with simple yet effective functions. It tells digital time in both 12-hour and 24-hour modes, chimes an hourly time signal and lets you set an alarm, all with an accuracy of +/- 15 seconds per month. The 1/100-second stopwatch features multiple measuring modes, and the auto calendar is preprogrammed until the year 2079. What made the Casio Calculator watch famous makes it distinctive and nostalgic now —its eight-digit calculator face with constants for addition, subtraction, multiplication and division. Marty McFly knew that Casio computer watches were cool in “Back to the Future,” and recent customers say it’s comfortable, easy to use, and (thanks to cut-outs in the band) breathes on the wrist. It’s water-resistant and has an approximate battery life of five years — a guaranteed conversation starter. you left out the roku stick, which got much higher ratings then amazon or chromecast. 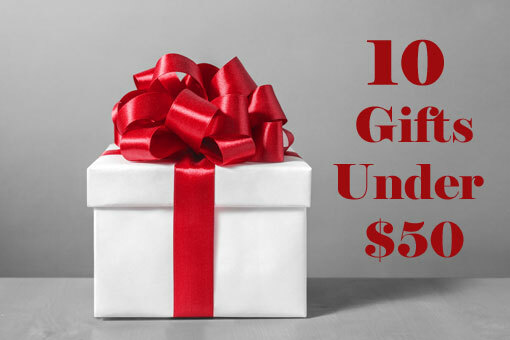 Check out our 2016 list of Great Gift Ideas Under $50. We include the Roku Express, which is just $30, and I agreed that the Roku Stick, ( $47.96 on Amazon) is also a great option, especially if you want to bring it along when you travel.